Tired of low power issues? Need more fuel savings? Jumpstart a tired CAT diesel engine that doesn’t perform like it used to. Protect your investment with economical and high quality CAT diesel performance parts. Gain optimal results without spending thousands of dollars on rerates and out-dated performance modules. Will your CAT diesel engine parts change my engine timing? 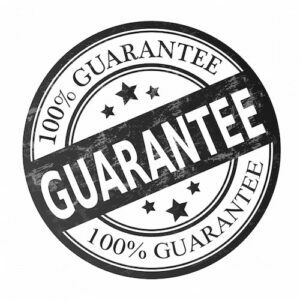 If you are not fully satisfied with your purchase, we offer a full refund less restocking fees. See Store Policies for details. All of our parts come with a full 12-month warranty for replacement and/or repair. We stand behind the durability of our products. Many of our customers have run our Platinum Power Harness and Fuel Harness for 4-5 years without issues. Extended warranty options are available online for purchase. Will your CAT diesel performance parts leave ‘ghost signs’ after removal? No, Platinum Power Group parts are passive, which means there are no traces of installation while the parts are uninstalled. Do your CAT diesel performance parts work with ACERT models? Yes. Our parts are compatible with ACERT engines. Do your CAT diesel performance parts come with instructions? Yes. An Installation Guide with step-by-step instructions, and image examples, is shipped with every order. Will your CAT diesel performance parts harm my engine? The Platinum Power Harness and Platinum Fuel Harness have been rigorously tested. Our performance parts for CAT diesel engines provide a comfortable increase in horsepower without compromising the life of your engine. Platinum Power Group parts are not intended to remedy outstanding issues that you may experience with your engine. Overall, engine life is directly related to the drivers habits and timely maintenance. Do your CAT diesel performance parts cause higher exhaust temps? No. Platinum Power Group CAT diesel performance parts offer a comfortable and safe increase in horsepower and performance. While some customers are interested in torque increases from 100 – 150 ft lbs, at those ranges you can shorten the lifespan of the engine and create high exhaust temperatures. What typical horsepower and fuel mileage gains should I expect? Each Power Harness and Fuel Harness, individually, will yield an additional +40-60hp. Maximum Power and Pro Bundles yield +60-80hp. Torque will vary depending on transmission to rear-end ratio. Customers report fuel mileage savings from 2/10 – 5/10mpg. Individual results may vary. Will your CAT diesel performance parts void my warranty? As with all aftermarket performance products, you should ensure that the part is uninstalled before taking it to a dealer, as it may void the warranty. How will your CAT diesel performance parts benefit my engine? Do your CAT diesel parts increase fuel mileage savings? Platinum Power Group CAT diesel parts are performance enhancement parts which can yield an improvement in fuel mileage. Fuel mileage improvements are best assessed with heavy loads, steep uphill graded terrain, and at increased speeds. Individual results may vary. How do Platinum Power Group CAT diesel performance parts work? The Platinum Power Harness improves low gear performance. Increase CAT diesel engine horsepower and throttle response without turbo lag. Accelerate and shift gears faster. Tow at lower RPMs. The Platinum Fuel Harness improves high gear performance. Increase CAT diesel engine horsepower and performance on steep uphill grades. Haul heavy loads with ease. Tow at higher RPMs. The Platinum Max and Pro Bundles improve low and high gear performance. The Pro Bundle upgrade includes an in-dash kit. Increase CAT diesel engine horsepower across all gears, low and high, for maximum performance and fuel savings. Customers report fuel mileage savings from 2/10 – 5/10 mpg. Can I install Platinum Power Group parts on my own? Yes. Our plug-in parts are shipped with an Installation Guide that outlines a simple step-by-step installation process. No drilling or major adjustments to your engine are required. Most of our customers install our parts can install our parts within 5 minutes or less. Are your CAT diesel performance parts compatible with my engine? Platinum Power Group CAT diesel performance parts are custom designed for On-Highway, Industrial, Marine, Construction, Agriculture and Waste applications that run Caterpillar diesel engines. Who is Platinum Power Group? Since 2007, Platinum Power Group has been a reliable partner to CAT diesel engine owners across the globe. We manufacture the world’s #1 CAT diesel performance parts – the Platinum Power Harness and Platinum Fuel Harness. Demanding applications require superior performance – blaze trails with Platinum Power under the hood.